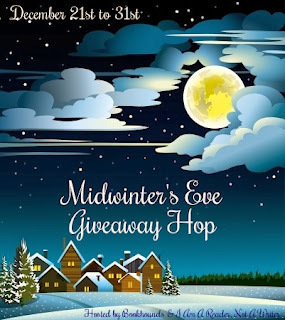 Laurie Here - Contemporary Fiction and MORE - Book Reviews: Midwinter's Eve Giveaway Hop! NOW thru New Year's Eve when the clock strikes midnight! Midwinter's Eve Giveaway Hop! NOW thru New Year's Eve when the clock strikes midnight! A BIG thank you to our Sponsors of this Hop, Bookhounds and I Am A Reader! Oh, the HOLIDAYS! My favorite time of the year! The Christmas movies, for myself, are one of my FAVORITE things! I LOVE the Hallmark channel each year as they show ALL of the holiday movies from Thanksgiving through Christmas! I really miss them when they are over, which makes this time of year the MOST special for me! I hope your holiday shopping is DONE by now! Although some of you may be reading this AFTER the 'day' has past, I hope those of you had the MOST wonderful time! Either way, it is still the 'holidays' right now and ALL THROUGH THIS HOP! Love in Bloom series by Melissa Foster! 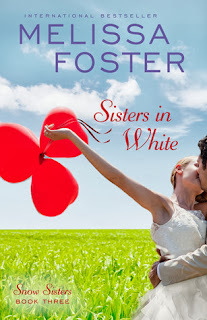 Many of you may know Melissa Foster is one of my ALL TIME FAVORITE authors. I have reviewed books for her going WAY back to her first books, and NO book has EVER failed to demand my complete LOVE OF HER WRITING! To miss out on reading ANY of Melissa Foster's books is a huge loss because her books DEMAND TO BE READ! She is AMAZING! If you have NOT read one book by her, this is a GREAT way to introduce yourself to her writing! 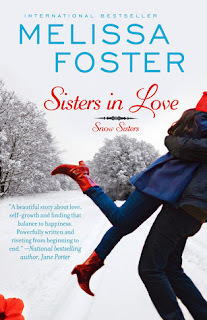 You'll fall in LOVE with her books, and I guarantee it! This is a trilogy of 3 separate books in the ebook format which is what I will be giving away! With this being Winter now, these ebooks couldn't be any more fitting and will have you hibernating warm and snuggly inside of these books! After you are finished, please scroll down to see ALL THE OTHER BLOGS IN THIS HOP! GOOD LUCK AND HAPPY READING! Here are ALL the other blogs in this hop! HAPPY HOPPING and HAPPY HOLIDAYS!!! Thanks for this great giveaway opportunity, I haven't read her yet but would love to do so. Books look like something I'd enjoy. Thanks for stopping by! Oh, I think you'll LOVE Melissa Foster's work! She's written numerous novels now, and I've read almost ALL of her books! These books are all part of the Love in Bloom series, and there will be a total of 9 books total in the series! The next set of 6 is The Braden's and she has 5 published so far, the 6th is at the editors' as we speak! Then she has another 5 of the Love in Bloom about another family (in the future) about the Remington's! That will make a total of 14 in the Love in Bloom series! Wow! She also recently wrote a standalone, Where Petals Fall. She has other books, too! I know! It doesn't stop there! These are all of the one's I've read so far, Megan's Way, Come Back to Me, Have No Shame, Chasing Amanda, and Traces of Kara. 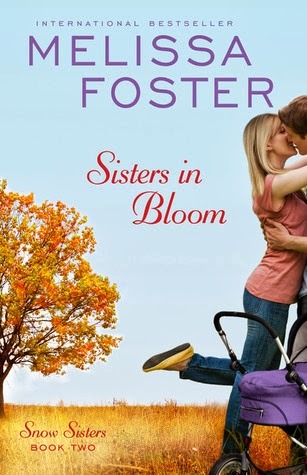 I got behind in reading her work when I took on a lot of NetGalley and some other Indie authors' books, so I have catching up to do, starting with Where Petals Fall and the Love in Bloom series. We lost two family members back in the beginning of August, unexpectedly, which really got me down for several months. It took me a while to dig back out of that depression I felt, and it wasn't until about mid-November I started to feel more like myself again, so I got really behind in reading what I wanted to read. Two people in one month was more than awful. It also brought back losing my mother from Sept 2010. So for about 3-1/2 months I felt frozen and couldn't do much of anything. I did write my weekly Sunday column of the NYT Top 15 (25) Best Sellers, and maybe 1 blog hop, but that was all I did. Now that I'm feeling better, (as good as it gets when it comes to losing people), I've been reading like crazy again! Watch for NEW reviews coming from all the books I've been reading, and will be reading by Melissa! Thanks again for stopping by! I wish you luck in the Giveaway! Random.org will be choosing the winners! If you celebrate Christmas, then Mery Christmas, and also, Happy New Year!